Forty Winks Phuket provides everything you need for a great night's sleep. 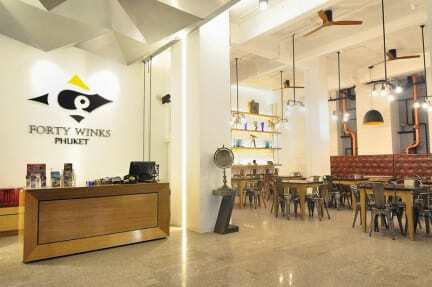 Tucked away on Nanai Road, Forty Winks Phuket is a budget hotel with a hip industrial design. 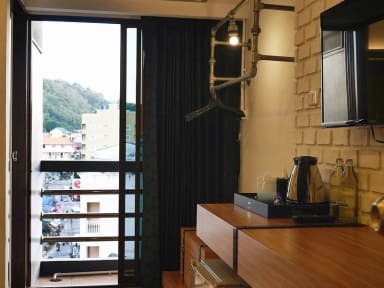 Conveniently located in the heart of Patong, the hotel offers the very best in bespoke service at affordable prices. This place is absolutely great. Great price and staff. Location is right next to a night market, which was good. Also, free breakfast was good. Great value for money! Rooms were very clean and all the necessities were provided including shower gel and shampoo. It was in a great location, the night food market was a 10 min walk and patong beach 20 mins away. All staff and cleaners were friendly and helpful. Would definitely recommend it to others! It's a good place to stay as most of the time you are out doing something. Great hotel in good location. Only issue we had is we didn't get breakfast at all while we were there due to us having to leave early for trips and taxis, we did tell the reception the night before but they said they couldn't do us a packed breakfast as we hadn't give them enough notice even-though we told them when we arrived. They had also already charged my card the full payment before we checked in - as I was expecting to pay the remainder cash. Still would reccommend! Really nice room, great pool! They made us pay 1.5 times the price of the room in order to be 3 persons in our private room even if they didn't add a bed but the bed is huge so it's okay but a bit pricy. No atmosphere and they only know about the really touristy stuff so if you want to have advice on adventure trips it is not their best knowledge. Still good time and really clean! Not really a hostel because as far as I could tell there were only private rooms. Pool fits about four people and if you’re planning on sharing a room my toilet had a full length window straight into the bed room which could make things a bit awakward. Besides that the staff are lovely and will organise everything including scoter rental, tours and airport transfers. The beds are also comfortable and rooms spacey. I’d be happy to stay again. Amenities and breakfast were great, location is prime being next to markets and grocery store definitely recommend!